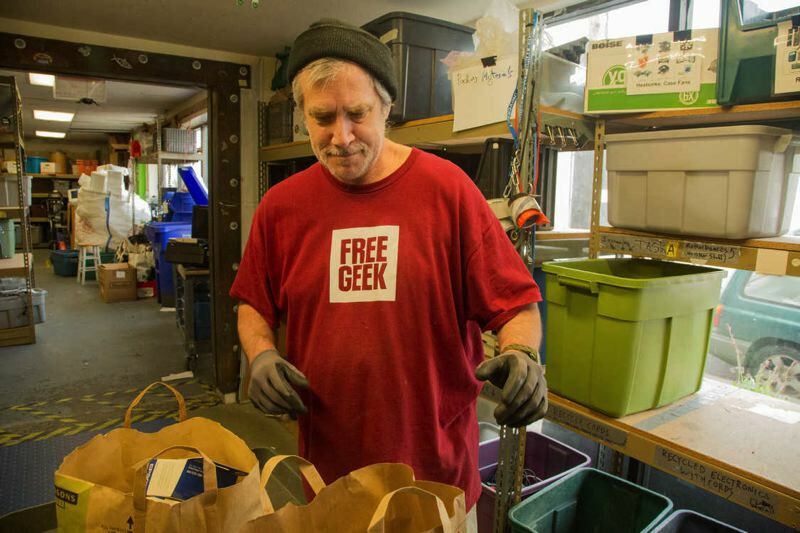 URT, which has a plant in Clackamas, says it will add a second shift to recycle TVs, computers and other electronics no longer needed by Oregonians, after ECS Refining's forced bankruptcy liquidation. Relief is on the way for Oregon's E-Cycles program, which was rocked this month by the forced liquidation of the second-largest company recycling Oregonians' cast-off TVs, computers and other electronics. Texas-based ECS Refining, which had been handling 41 percent of the material collected under Oregon's 10-year-old E-Cycles program, was ordered to close and sell off its assets by U.S. Bankruptcy Court on July 2. 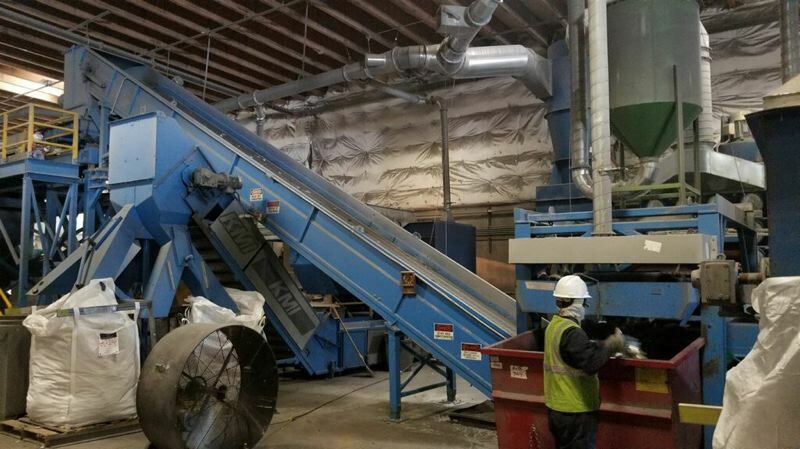 But the largest company operating here, Universal Recycling Technology LLC, says it is ready to fill the void by expanding its operations in Clackamas. "We're going to be quickly ramping up to add a second shift," said Jeff Gloyd, vice president for sales and marketing of the Wisconsin-based company, known as URT. The company has already hired a manager for the second shift and would expect to hire additional people, Gloyd said in a phone interview. Each shift requires about 55 workers. URT already processes about 55 percent of the computers, TVs, monitors and other electronics that Oregonians bring to designated locales for recycling under the state program. This year, the state hopes to collect nearly 22 million pounds of electronics — about five pounds per person in the state. Known as a product stewardship program, Oregon E-Cycles is financed by fees on manufacturers that generate the waste. Electronics often contain toxic material such as lead, as well as valuable minerals, metal and other recyclable materials. News of the ECS bankruptcy was first reported by E-Scrap News, a trade publication of Portland-based Resource Recycling. Jerry Powell, editor, publisher and owner of Resource Recycling, said the sector is in upheaval, partly due to declining demand for the recycled material in China and other Asian markets. 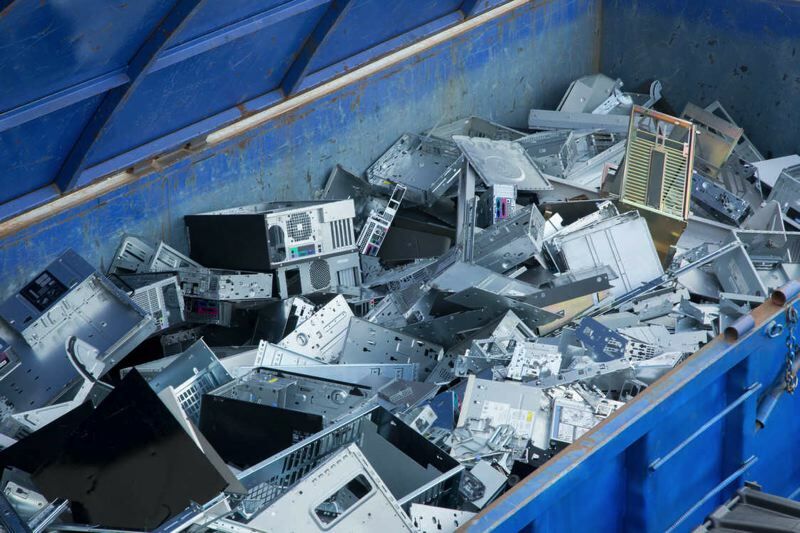 ECS is the third large electronics recycling firm to leave the Oregon market in the past two years, and options for finding replacements to break down and process electronics "are very limited," Powell said. "As with nearly every electronics recycling processor, ECS relied in part on Asian markets for whole electronics and for parts and materials from dismantled or shredded units," Powell said. "With China, Vietnam, Thailand and other countries now restricting or eliminating imports of such products, recycling firms in the U.S. face significant market barriers." The news hit the recycling industry hard, because it's already reeling over China's new purity standards for accepting mixed paper and plastics collected on Oregon curbsides. Since China effectively barred buying our mixed plastic and paper, large bales of both products have been piling up in materials processing centers. Even worse for the industry, the Oregon Department of Environmental Quality and Metro was forced to authorize some haulers to simply take those materials to a landfill instead of a recycling depot. After the sudden demise of ECS, DEQ officials quickly said there'd be no major disruptions in the E-Cycles program, because URT would initially step up to fill the void. However, they said the program would need to seek a permanent replacement for the long haul. Gloyd sees his company as that permanent replacement, and said the state will find it hard to find anyone else. "To be honest, I don't see another company coming in and opening up shop," he said. The cost of entering the field is "prohibitive," and current conditions make it hard to remain profitable, he said. But URT, which operates in 49 states and has plants in Clackamas, Wisconsin, Texas and New Hampshire, is managing well, partly by taking up more work in-house. "We've doubled our volume and revenue nationally in the last five years," Gloyd said. There still is a market for shredded plastic in Asia, he said. "It's about how clean the material is when it hits their docks." URT removes precious metals from electronics, including gold, platinum and palladium, and sells those to smelters. The primary toxin in electronics is lead from old cathode ray tubes used in TVs. URT separates out those tubes and sells them to a processer in Spain. There, a 100-year-old company uses them to make ceramic tile. Remaining plastics and metals are shredded and sold to companies that reuse them. Oregon's E-Cycles program is considered a success. However, volumes of collected electronics are dropping year to year. Some of that is due to the declining sizes of television electronics. It also could be that Oregonians have finished clearing out stockpiles of old TVs and computers that had been gathering dust in attics and garages.